 Welcome and thank you for your interest in the Phibrows Perfection Education with PhiAcademy New Zealand. Perfection training is designed for PhiBrow Artists and students who wish to improve their skills, become a Royal Artist, obtain additional knowledge and skills after obtaining the PhiBrows or Microblading Certificate, are struggling to get the perfect brow or are on level 11 in their PhiBrows Microblading Education. We diagnose the areas of concern you may be struggling with to ensure Perfection is tailored to suit each individual student.